Simglo Mar 12 2019 1:53 pm One of my favorite actors! He plays a cameo role on The Bride of Haebaek, as the child (wild cave child) version of Lim Ju-Hwan's character, Hoo Ye. Anonymous Mar 04 2019 10:03 am I watched still 17 first and found out his acting was reallllyyy good then i watched Romantic Doc Teacher Kim and again his acting never disappointed. Btw we have the same age! Goodluck in your career!! - Jul 24 2018 1:07 pm @xolovetokki he plays young yang se jong in his newest drama tho!! xolovetokki Nov 29 2017 3:19 am I saw him in doubtful victory and his smile reminds me with Yang Se Jong. I think he will be great in the future. Chan Young, fighting! jira jung shin Nov 11 2017 6:54 pm hello,chanyeong is my idol scenes i was 12 that was on 2014 ...i like the way he act ...hope he got more movie project..?? boink May 23 2017 9:15 am I've seen him in Bubblegum, Blow Breeze and Romantic Teacher and I loved his acting in all three. He is somebody to lookout for in the future and I really hope he succeeds as an actor. Now I can't wait to see him in King Loves! dramaguy91 Feb 23 2017 11:51 pm Just saw this kid in Mama and may I say what a fantastic actor. Really pulled me in emotionally in that drama. I didn't even realized that was him playing the younger role of Lee Jang-Go in Blow Breeze. Sure is growing up quick. This kid is definitely one to watch in the future. Meram Oct 14 2015 7:09 am The kid is simply awesome! He has an heavyweight list of dramas and movies already. He is only 14 years old meaning his career will be stellar! He is killing it in Six Flying Dragons. mica Jun 27 2015 12:16 am this boy will be so handsome when he grows up! Quincy Mar 24 2015 12:58 am The acting of this boy in MAMA is amazing. clearvision Dec 30 2014 2:56 pm What an adorable little guy! 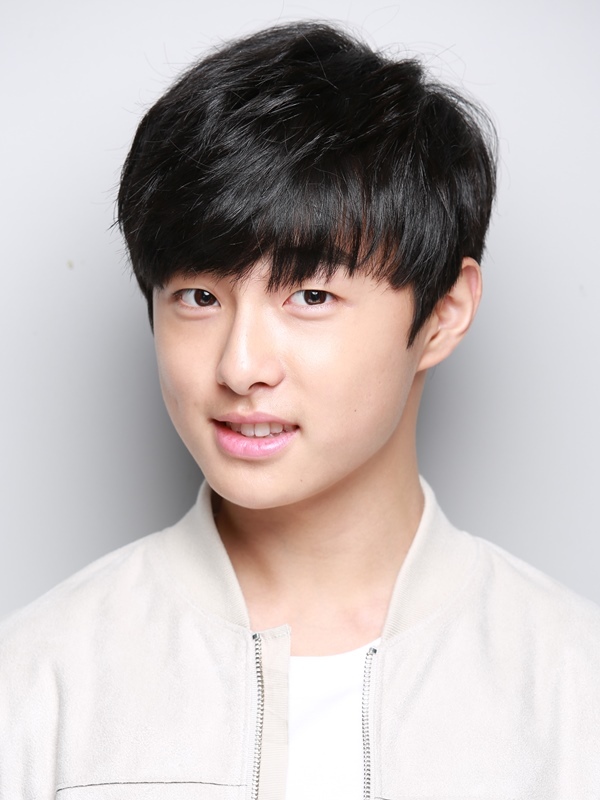 Okay, does anyone else think he looks like a younger version of Song Joong Ki? Awesome little actor! lemon84 Oct 23 2014 3:19 am I watch him on drama mama nothing to fear.. he's a good child actor! His acting is daebak! Hope to see more of him acting as major role..
lourdes adanza Oct 04 2014 8:39 am your so cute and very handsome child.. best child actor ..can i ask a favor.. ??!! Jennifer Oct 01 2014 10:09 pm He is very good at acting and handsome!!! I'M a HUGE FAN OF HIM!!! Manuela Zuniga Sep 29 2014 2:24 am He's acting in Mama as Geu Roo is superb. More drama or movie for him. toon Sep 26 2014 12:06 am i saw his drama 'mama-nothing to fear' he's still young but his great acting and handsomeness can't be denied,,,!!! Noshi Sep 15 2014 6:46 pm A great actor in mama, hot and the same age as me. I'm happy with it. kmoviecentral Feb 06 2014 2:16 am What a cute kid. I loved him in Monstar.